“Whether you save me, Whether you savage me, Want my last look to be the moon in your eyes”. If The Lioness is your favourite Jason Molina album. Possibly. And you want more songs that sound like The Lioness. Definitely. Then this Deluxe version is for you. Phew. “I came in from the wilderness, A creature void of form, ‘Come in’, she said, ‘I’ll give ya, Shelter from the storm'”. If 3,513 versions of ‘Lily, Rosemary and the Jack of Hearts’ is what you are craving. Hmm, not totally sure. Then this Deluxe version of Blood On The Tracks is for you. Oh, OK.
“Walk on, talk on, baby tell no lies, Don’t you be caught with a tear in your eye”. If you like Neil Young to be providing somewhat approximate renditions of what are undoubtedly some of his best tunes. Yes, yes. Then this live version of Tonight’s The Night is for you. Oh Good. “The sun is up, the sky is blue, It’s beautiful and so are you”. If you have ever been to Esher and wondered what it must have been like for The Beatles to demo The White Album songs there, then this Super Deluxe Version is for you. Where’s Esher again? “His left hand is under my head, And his right hand, Does embrace me, This is the song of Solomon”. Classic Kate Bush. Remastered. Move on. Nothing more to add. Oh OK. Right. Goshen Electric Co. are Timothy Showalter of Strand of Oaks plus one incarnation of Jason Molina’s backing band during the Magnolia Electric Co. era. They’ve just recorded a three-track EP and ‘The Gray Tower’ is the first track. They’ve also embarked on a short European tour. They were at the Tivoli Theatre in Dublin on Tuesday. Outside, it was a glorious evening. Beautiful. Clear. Inside, it was glorious too. Unofficial MC for the evening was guitarist Jason Groth. There were readings by Erin Osman from her biography of Molina. There was a guest appearance from the great Adrian Crowley. And the set list was more a wish list of Molina songs, beginning with ‘Farewell Transmission’, and ending with ‘Lioness’. ‘The Gray Tower’ is a Jason Molina song. There’s a demo version on the deluxe edition of Didn’t It Rain and a 7″ version that can now be found on the Journey On singles collection. Showalter and Co. have beefed the song up, giving it the Trials and Errors treatment. They’ve taken away some of the vulnerability of the original version, but they’ve also turned it into another one of the best songs that Neil Young never wrote. So, that’s absolutely fine. In the video, Showalter is in full-on HEAL or Hard Love mode, tattoos everywhere, biceps bulging. On stage the other night, though, he was completely covered up, wearing a velvet smoking jacket and fedora. He was also very respectful, being careful to make sure that this was not a show about him, but Molina. Showalter himself is a big Molina fan. On HEAL, which was released not long after Molina died, he recorded a song called ‘JM’. The band played it on Tuesday and it was very moving. “Now it’s hard to hear you sing, the crow has lost his wings, But I still got your sweet tunes to play”. Showalter isn’t the only artist to have covered Molina. Glen Hansard has too. In fact, Erin Osman mentioned him in dispatches on the night. In 2015 he released five Molina songs under the title It Was Triumph We Once Proposed. It includes a glorious version of ‘Farewell Transmission’ as well as a lovely cover of ‘Being in Love’. The last words should go to Jason Molina himself. “We are proof that the heart is a risky fuel to burn, What’s left after that’s all gone I hope to never learn, But if you stick with me you can help me, I’m sure we’ll find new things to burn, Cause we are proof that the heart is a risky fuel to burn”. Deluxe Editions, Legacy Versions, Remastered Originals complete with outtakes and collectors items. They promise so much but they rarely deliver. A few live tracks here. A few discarded songs there. There’s the odd exception. Jeff Buckley’s ‘Forget Her’ from the Grace reissue being one. The Dylan Bootleg Series in pretty much its entirety being another. But hidden gems are few and far between. 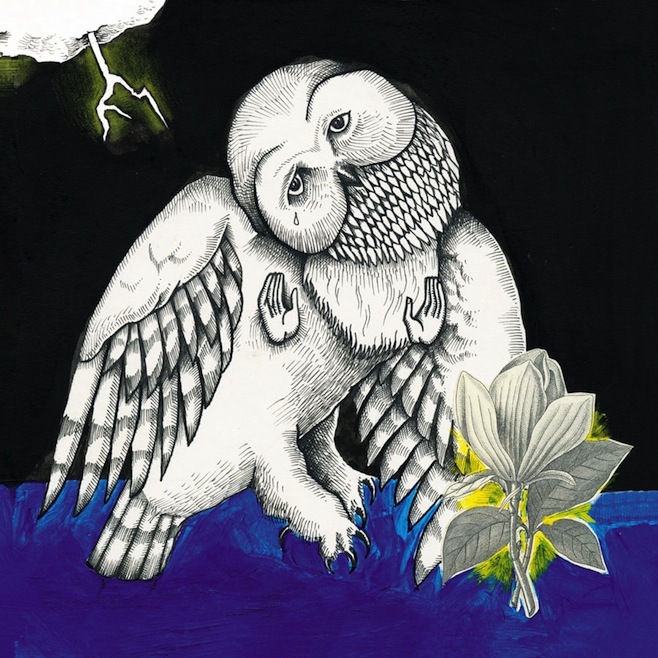 Songs: Ohia’s Magnolia Electric Co. is a magnificent album that deserves special treatment. The good news is that the Deluxe version is very special. It serves not only as a timely tribute to the late Jason Molina, but it enhances the original in a way that very few equivalent releases have managed. The new edition begins with two bonus tracks. The first, ‘The Big Game Is Every Night’, is a full-band outing that would have graced the original version of the album. Beginning with the words “It’ll get so quiet when this record ends”, it’s a closing track if ever there was one and, presumably, in the battle with ‘Hold On Magnolia’ it came second. But it’s a genuine lost classic. The second, ‘Whip-Poor-Will’, finally ended up on Josephine some six years later, but here the vocals are shared and they give the song a nice counterpoint. The big interest, though, lies in the second half of the reissue. They’re Jason Molina’s original demos of all the tracks on the original album plus the two bonus tracks. Many of them have found their way onto music blogs over the years, but now they’re brought together and properly curated. The first thing you notice is the click of the recording button. They’re that intimate. Featuring just Molina and a guitar, they’re demos in the the sense that the band is absent. But in another mood, another incarnation, and with only minimal overdubs, Molina could have put them out instead of the original album and we would still be singing their praises. There are minor differences here and there. A slight change of lyrics on ‘John Henry Split My Heart’. But for the most part they’re ready for the band to fill out. Perhaps the most interesting inclusions are ‘The Old Black Hen’ and ‘Peoria Lunch Box Blues’ which, unlike the album proper, Molina sings himself. When you hear him in his familiar fragile voice deliver the lines, “Tell them that every day I lived, I was trying to sing the blues the way I find them”, you realise why this is no ordinary reissue. Jason Molina is gone to the “ageless darkness”. But this Deluxe edition brings him at least part way back. “I will be gone, But not forever”.